Pallavi Joshi hopes her forthcoming film ‘The Tashkent Files’, which raises questions about the late Indian Prime Minister Lal Bahadur Shastri’s mysterious death, starts a conversation on an important but ignored part of history. “History has always been written by the people who emerged victorious. The story of the opposition, the ones who lost the battle, has not been documented correctly. We just write, read and celebrate the glory of the winner. Though the other side is also part of history, it is largely ignored. In the last few years, we are having several conversations on how we have been taught the wrong history without questioning,” said Joshi. “We always celebrate the contribution of [Mahatma] Gandhi and [Jawaharlal] Nehru, which is great. But shall we ignore the contribution and sacrifice of Gopal Krishna Gokhale, Lokmanya Tilak and many others who played an important part in India’s freedom movement? I think since we are taught that two individuals are responsible for India’s independence, our earlier generations never questioned them critically. But questioning important matters is a common practice in a democracy,” she added. 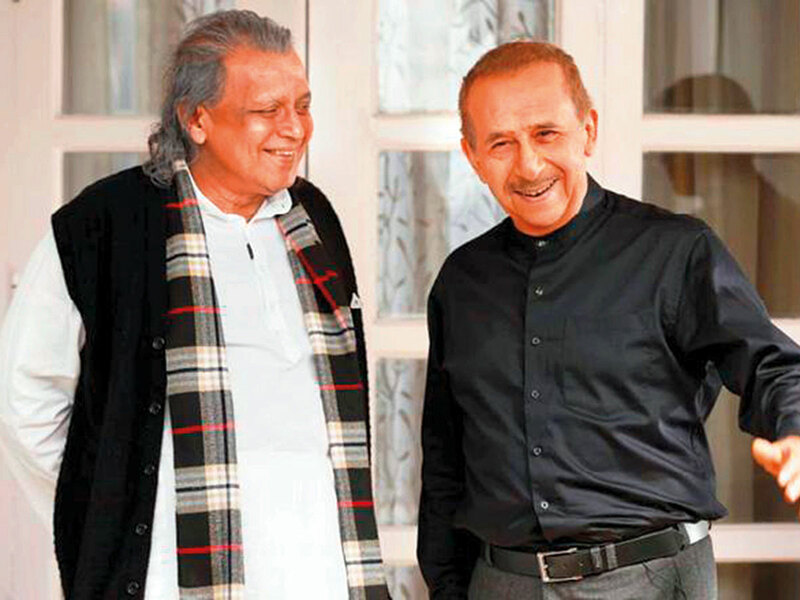 Directed by her husband Vivek Agnihotri, ‘The Tashkent Files’ also features Naseeruddin Shah, Mithun Chakraborty, Shweta Prasad Basu and Pankaj Tripathi. Joshi plays Ayesha Ali Shah in the film. “She is the nastiest woman I have ever played. She is one of those historians, who comes from a family of Nawabs and is decorated by the government. She believes that she has the right to write on people the way she wants and people around her are inferior. She is dark, she is arrogant and I really had a great time performing such a character,” Joshi said. The story of the film revolves around the mysterious death of Shastri in 1966, soon after the signing of the Tashkent Agreement between India and Pakistan to end their 1965 war. The cast and crew of the film interacted with Shastri’s family members closely. “We got to know from his family that Shastri ji had a conversation with his wife just 15 minutes before his last breath. If someone died of cardiac arrest, it is only natural that the person will get some symptoms of the attack in his body. But his family said that he was pretty normal. Why was there no investigation? Why does the story that we are served as truth have factual and logical loopholes?” asked the actress. ‘The Tashkent Files’ releases just as the first phase of Lok Sabha elections begin in India. Joshi said though it makes for great timing, it wasn’t pre-planned. “Zee Studios came on board in January and before that we made the film independently. It is the decision of the studio when to release the film. Yes, I believe that a film has the power to create an impact on people’s mind but only if the film is good, and received in the right manner by the audience,” she said. According to official record, Shastri died in Tashkent on January 11, 1966 in Tashkent, Kazakhstan. The former Indian Prime Minister died at 2am, a day after signing the Tashkent Declaration to bring an end to the 1965 war between India and Pakistan at the time. 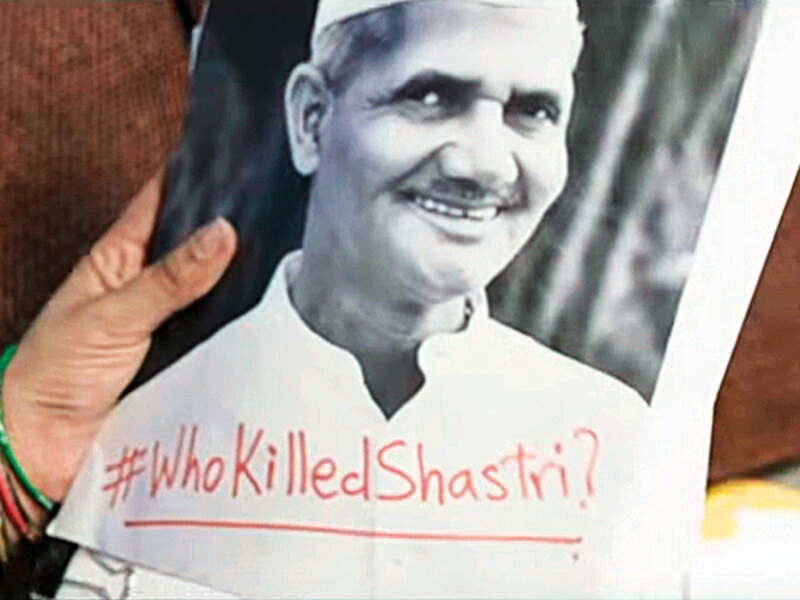 While his death was ruled as a heart attack, close relatives — including wife Lalita Shastri — and supporters believed that Shastri had been a victim of foul play and had been poisoned. ‘The Tashkent Files’ is out in the UAE on April 11.